Santa Cruz, the host of “all the damn vampires,” is now home to the evil, frightening James Christianson. Malevolence loves company. 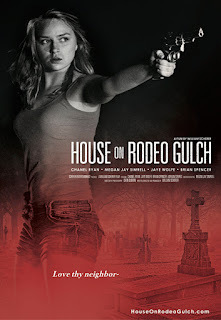 Chanel Ryan (Bad Kids Go to Hell) and Barry Ratcliffe (Ted 2) star in writer-director William Scherer’s Hitchcockian thriller “The House on Rodeo Gulch,” now available on VOD. 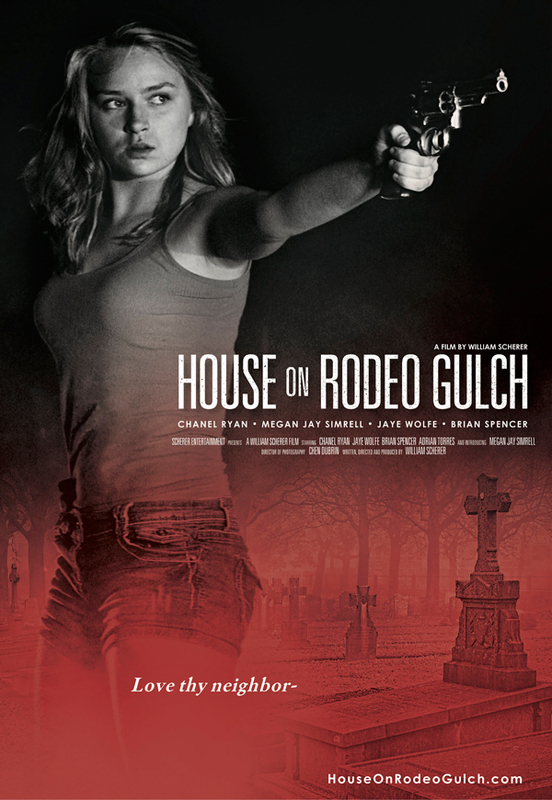 Uprooted from her childhood home in Texas by her father’s new job, seventeen-year-old Shani Peterson (Megan Jay Simrell) moves to California with her new step-mom, Denise (Chanel Ryan). Their new home, located deep in the redwoods of Central California is a dream come true… until it’s not. With an over friendly Reverend and his alcoholic assistant as their only neighbors, Shani and Denise must unearth the haunting mysteries of the house and its history, before they lose their home, or lives.